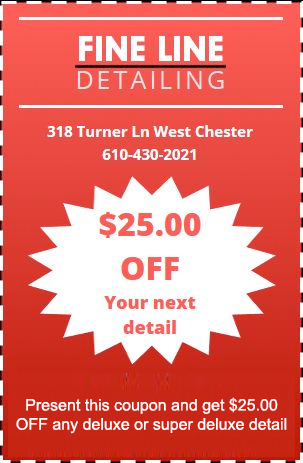 Schedule your vehicle for a thorough detailing to make sure it stays in splendid condition! Interior and exterior detailing, detail services, and headlight reconditioning – we do all this and much more! From cars, trucks, boats and RVs to trailers and fleet accounts, you can rely on our experienced technicians to do a fine job. We also have FREE local pickup and delivery services on Deluxe and Super Deluxe packages!